King Edward VII’s Hospital and Cleveland Clinic London are developing a partnership, building on their shared values and commitment to patient centered care. As part of this partnership, we are pleased to announce that leading independent GP Dr Ruth Whitby is relocating to King Edward VII’s Hospital. 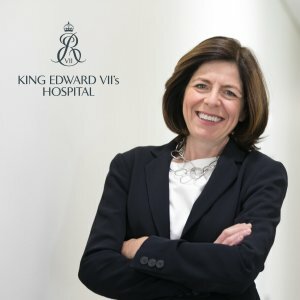 Dr Whitby will practice at King Edward VII’s Hospital, alongside her role in the development of Cleveland Clinic London, a new private hospital in Belgravia, which will open in 2021. Dr Whitby’s practice is moving to the Outpatients Department of King Edward VII’s Hospital at – Charterhouse, 56 Weymouth Street, London, W1G 6NX – just a short step from Harley Street. On-street parking is available. In order to make the transition as smooth as possible, a new telephone number at King Edward VII’s Hospital has been set up for Dr Whitby’s GP appointments – 020 7467 4554 – and appointments can also be booked directly through her website – www.drruthwhitby.com.